POLICE and the family of a Form Four pupil at Mzingwane High School, who allegedly committed suicide by hanging himself, suspect foul play. The family yesterday said it was disturbed because the school authorities cleaned up the crime scene before police commenced investigations. 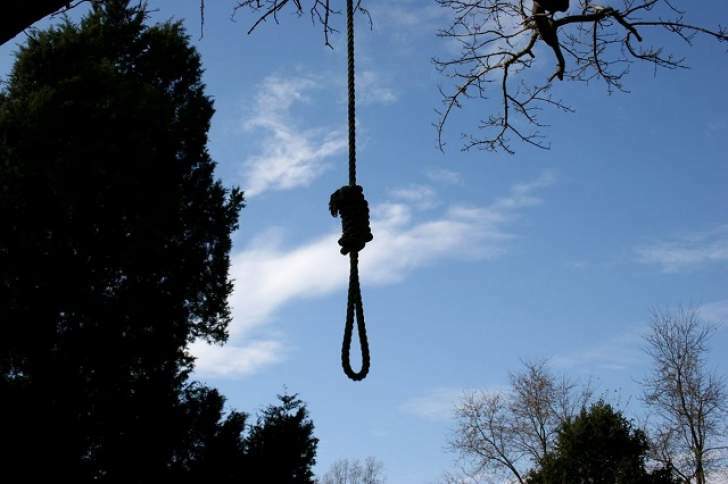 Ryan Siziba (16) of Bellevue suburb in Bulawayo allegedly hanged himself on Tuesday night on the roof trusses of a disused boiler room behind the school hostels using his belt. It was suspected that Ryan feared disciplinary action over alleged theft. His body was found on Wednesday at around 6AM. A police source close to investigations said foul play was suspected and investigations were underway. School authorities alleged that Ryan had stolen food from other pupils' trunks with a 15-year-old friend from Pumula North suburb in Bulawayo. The friend and another Form Four pupil allegedly discovered Ryan's body. The Chronicle yesterday observed that the disused boiler room, which was earlier described as a pig sty, was sparkling clean. Ryan's father, Mr Noel Siziba, among a team of other family members, said they failed to get clear answers from the school. The school's acting deputy headmaster, a Mr Mangena and the boarding master, Mr Mazisi Mpofu, seemed equally surprised about the clean-up claiming not to know who had taken up the task. Mr Siziba said: "I can't believe my eyes on the clean up and this makes me suspect a great degree of foul play on my son's alleged suicide. When I arrived at the scene yesterday (Wednesday), the room was full of cigarette and mbanje stubs, indicating that the unused room was where boys performed their shenanigans. "As an African man, I sought permission to come back the next day to show my family the place where my son died as well as to perform our traditional rituals. It comes as a great shock and disappointment to find the place cleaned up. "What worries me most is whose children were tasked to clean up a room where someone had allegedly hanged himself." He denied that the school had notified him on Tuesday night that his child was missing. "I want to correct this in front of the school authorities that they only phoned me on Wednesday at around 7AM, informing me that Ryan had gone missing the previous night. "When I arrived at the school at around 9AM, I was then informed that my son had just been discovered dead and police were already at the scene," said Mr Siziba. Earlier reports seemed to suggest that Ryan's body had already been found when the school told his parents he was missing, as police were told the body was discovered at 6AM. Mr Mangena said he must have been misquoted by the police because he did not say the family had been contacted the previous night. He said he was fully aware the family was going to perform rituals at the scene adding that he was equally shocked that someone did the cleaning. A source at the school said on Tuesday at around 3PM, the two pupils went into the Form Ones' hostel and stole some food from trunks and returned to their hostels where they ate the food. The boarding master, Mr Mazisi Mpofu, said he received a report from other pupils to the effect that there had been a theft of food stuffs and the two were implicated as they had been seen earlier in the hostels. He said he last saw Ryan at around 9PM after studies and intended to interview him later on the matter. "Later that evening, at around 9PM, Ryan's friend approached me and confessed that he committed the crime with him. I dismissed him, promising to interview each one of them the following morning, although I wanted to see Ryan before bed time. "After Ryan didn't return to his hostel up until 11PM, I instructed his dormitory mates to go to bed and a search was conducted the following morning around the school premises. The now deceased was found by the friend and another pupil (16) hanging from the roof trusses of a disused boiler room behind the school hostels," he told The Chronicle. Police took the body to the United Bulawayo Hospitals (UBH) for post-mortem.